"Mastiff Majesty Address Labels" product is already in your cart. 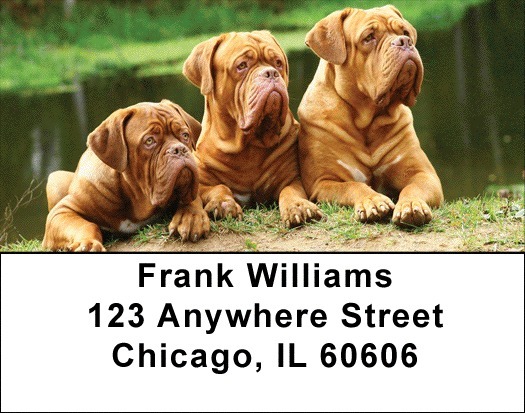 Mastiff Majesty Address labels feature four photographs of different types of mastiffs. Mastiffs are large and powerful animals that have loose skin folds making them look a little silly. They are loyal family friends, and are gentle and good with children. Mastiff Majesty Address labels are self adhesive and matching checks are also available.